I have a beautiful apple tree in my backyard that produces more apples then anyone knows what to do with. I have many people come each year and pick to their hearts content, baked apple pies and make sauce till I cant anymore and there is still tons. So now it's September and time to pick apples and make apple everything. The applesauce in this recipe I made myself even! Hello fall! There is a bit of work required for these pancakes, so maybe more of a Sunday mornings thing. Put oats in a food processor and pulse until a flour consistency. I borrowed my sisters Blendtech this week and just mixed the oats with the other ingredients and blended, but if you don't have a high powered blender grind the oats separately. Mix all the pancake ingredients together, folding in the shredded apple at the end. Cook pancakes on medium heat in a non stick pan. Mix greek yogurt, almond milk and vanilla stevia together. Heat coconut oil in a pan and put cinnamon coated sliced apples in. Cook apples until soft and browning and caramelizing. Top pancakes with yogurt mix. I like stacking with a bit between each. Top with sliced apples and enjoy! 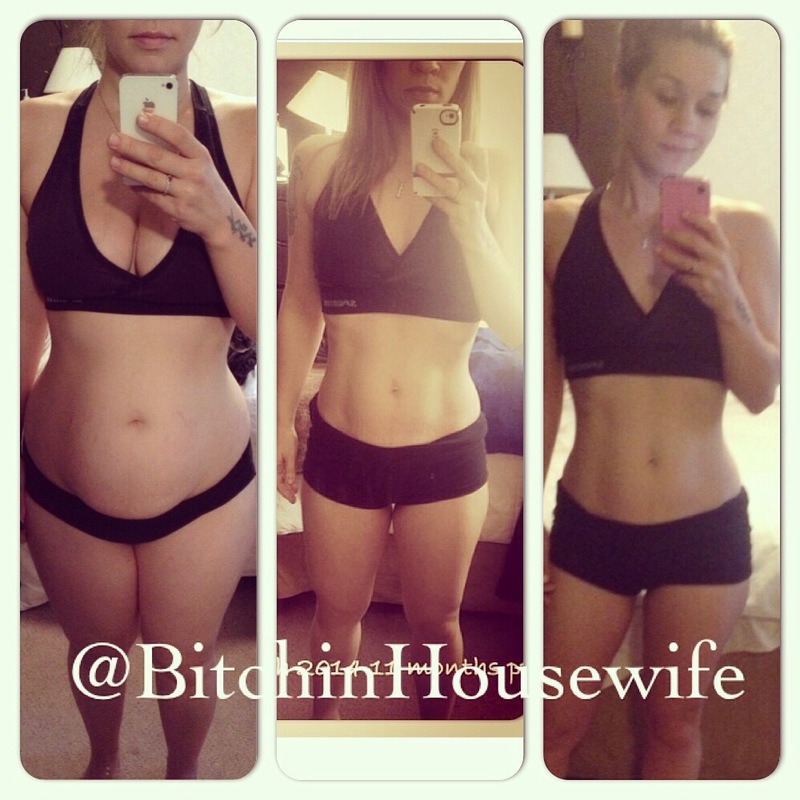 For a while I've been seeing the Jillian Michaels brownie floating around the internet. First I will say, Jillian I love you. Okay that's been said, now I can say, um your 86 calorie brownie is great and all, except so small! And no protein! Sure if I broke my brownie into 16 pieces instead of 9 bigger ones they would only be 50 calories! 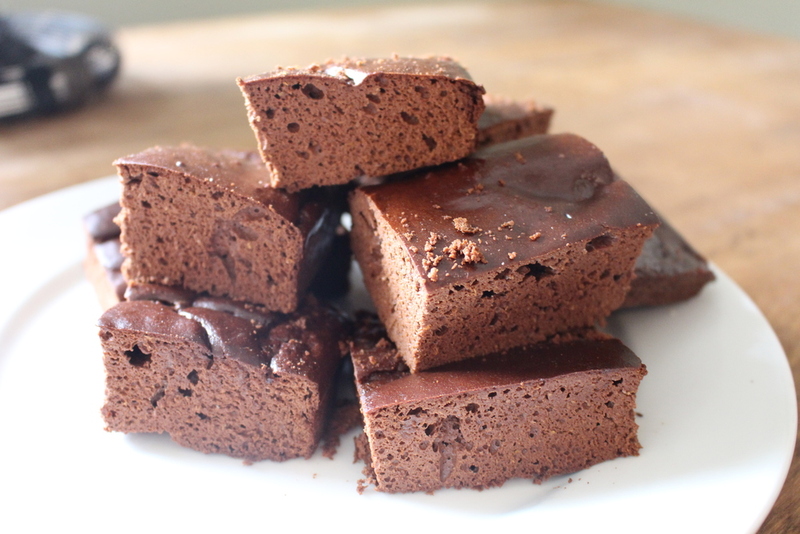 But when I want a brownie, I want a damn brownie! So here it is. 100 calorie protein packed brownie that's bigger then 1/16th of a pan!!!! 1/2 cup chocolate chips. (45g) I used regular old semi sweet, but use dark or whatever you like. Boil some water in a small pot on the stove, with a larger metal bowl overtop. See the picture below. Spray 8" pan with non stick spray. Mix cocoa, protein powder, baking powder and salt in one bowl. Mix the egg white, vanilla, stevia, greek yogurt and pumpkin in another bowl. Melt chocolate chips in the bowl over boiling water. You can also do this in the microwave, but you can risk burning the chocolate, plus it cooling too soon before mixing. But do what you like. Once the chocolate is melted, turn the burner off and quickly add the egg white, pumpkin, yogurt mix to it. Mix well. Now add the cocoa, protein powder mix. Pour mixture into pan and spread evenly. Bake for 20 minutes. Ever damn brownie recipe will tell you "don't over bake". So check at 15 minutes. Insert a toothpick in the middle and should come out clean, if not it needs more time. But dont go over 20 I'd say. They can be dry from the lack of fat in them. Cut into 9 pieces and enjoy!!! Sorry it's blurry, but the best picture I took to describe what I'm doing here. Small pot with boiling water, larger sized bowl overtop so the steam from the boiling water is heating the chocolate. This will prevent burning the chocolate. 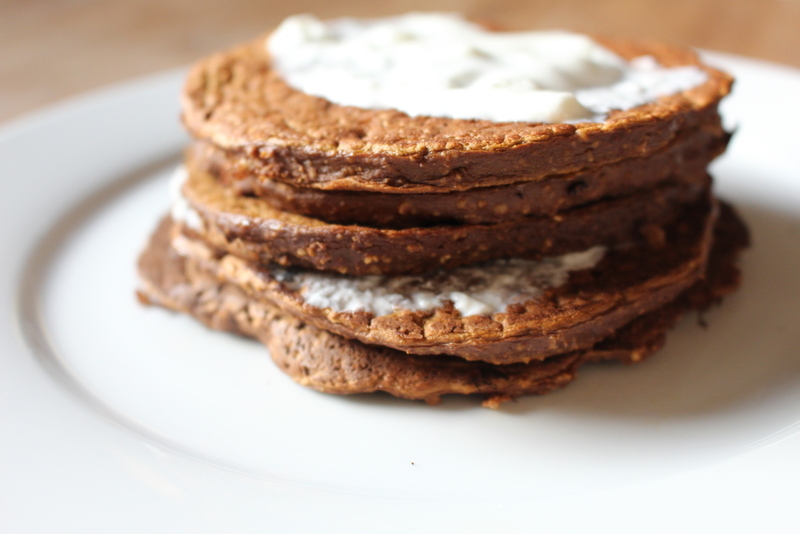 Protein Pumpkin Pie Pancakes, say that 3 times fast! Let me welcome September 1st with Pumpkin! Days of leaves turning, children heading to school and warm and delicious fall foods. I've never been one to go crazy for the pumpkin spiced latte like some, but pumpkin everything else, bring it on!!! These protein pancakes also have NO protein powder. I realize some people don't use it/have it, so I tried making this without. stevia to taste. liquid or powder, a little goes a long way. 1/4 cup puree pumpkin. Not pie filling! Mix oats, cocoa, baking powder, cinnamon and nutmeg. In a separate bowl mix stevia, pumpkin, egg whites, 1/4 cup almond milk and lemon juice. Heat non stick pan to medium. Put mixture in pan. The batter is a little thicker and will need to be spread by the spoon, or add more milk to make it runnier. Flip when starts to bubble. Put topping on pancakes and enjoy! 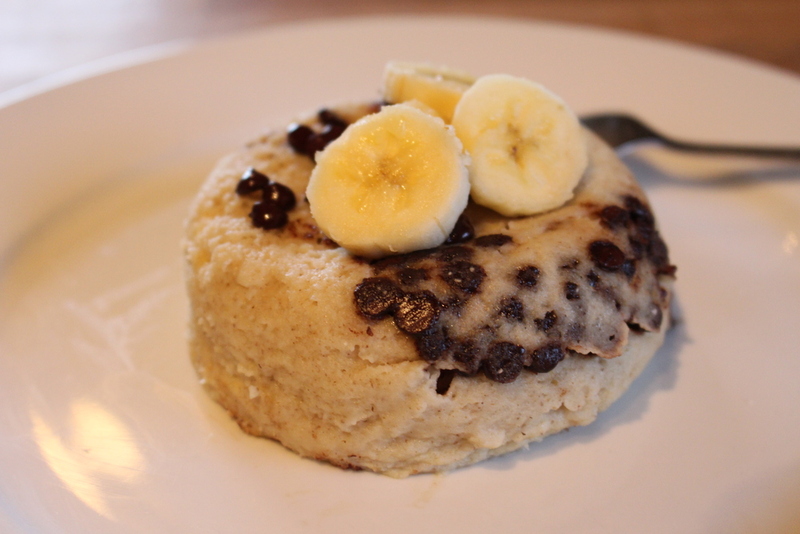 Macros for entire recipe: Calories 299, Fat 4g, Carbohydrates 34g, Protein 27g, Fiber 10g!! I had my first mugcake, was hooked. Chocolate is great, but I needed to make something new. And here I give it to you! Yeah I'm so cool I rhyme. 1/4 egg whites (2 eggs whites). 3/4 scoop strawberry protein powder. 21g (3 tbsp) tbsp coconut flour. 1/2 cup 0% greek yogurt. Stevia. I love the vanilla one, but any works. Its to sweeten the yogurt. Mix protein powder, coconut flour and baking soda together in a bowl. Add egg whites and almond milk. Spray a mug with cooking spray , empty ingredients into the mug and cook in the microwave for a minute and a half. In a separate bowl mix yogurt and stevia. Take cake out of mug and slice in half horizontally. Put half the greek yogurt on the bottom piece and then stack the other one on top. Put remainder yogurt on top and then top with sliced strawberries! This hit the spot for me 100%! Hope you enjoy! 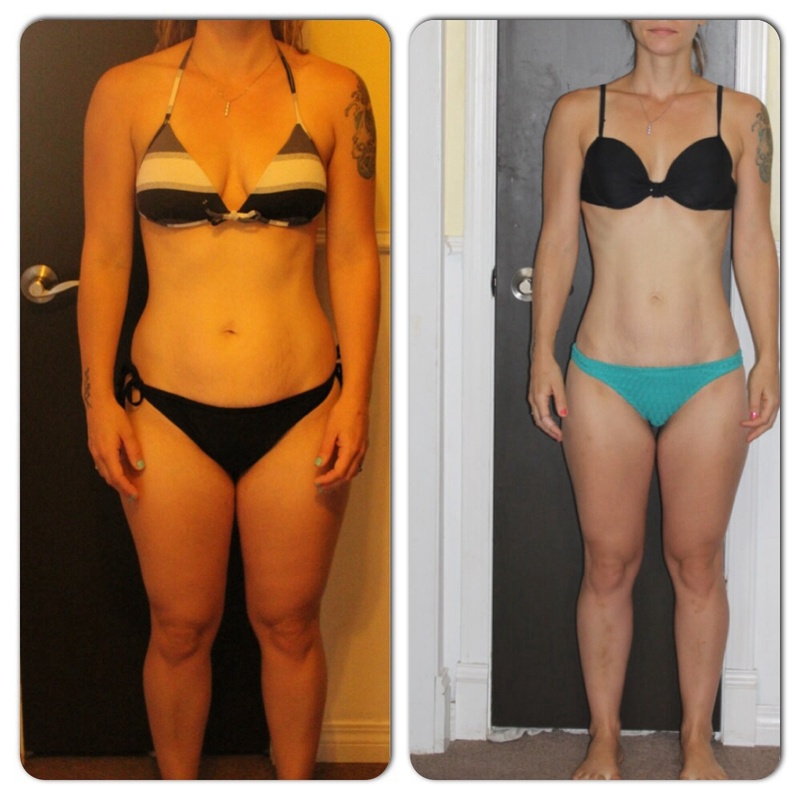 Macros: Calories 296, Fat 4g, Carbohydrates 20g, Protein 44g, Fiber 9g. I love breakfast. I love chocolate, bananas and french toast. So I made them into this amazingness. Thin bun or Arnold bun. I use the Bakerstone brand from Costco at 20g carb per bun. 1/2 cup egg white. Equivilant is 4 egg whites. Half of a 3/4 cup serving. So 6 tablespoons/62.5g. Whatever you use to measure. Half a banana. This recipe is 80g. Stevia. I use a chocolate flavored stevia i get from my health food store. 1 tsp coconut oil for frying. Put the egg whites and cinnamon into a bowl. Let the bun halves soak in the egg whites. Heat pan on medium and put in oil. Cook buns on either side. Mix greek yogurt and stevia in a seperate small dish. *There will likely be some egg white left over in the bowl. I quickly just scrambled them up in pan and ate them to fill my macros.